Our team of repair specialists are on hand to repair and maintain your bodywork, deal with rust corrosion and paintwork issues. We also offer a range of underbody repairs, such as welding and maintenance, underbody sealing and corrosion prevention. No matter how major or minor the repair needed for your vehicle, we are on hand to help from resprays to a full front end rebuild. Our attention to detail is second to none and the Fastlane Autocare team prides itself on returning your vehicle to its original condition (if not better). Our mobile body shop vans are each fully fitted with the latest smart repair technology as our aim is to offer a quality bodywork service to all of our customers. Why choose us to repair your vehicle's bodywork? We make sure that all our staff are well trained and up to date with technology and effective initiative solutions. We have fully equipped mobile workshops, with a high range of tools and equipment to ensure all vehicles are repaired to the highest standards. The first step is an inspection which takes roughly up to 1 hour to carry out. 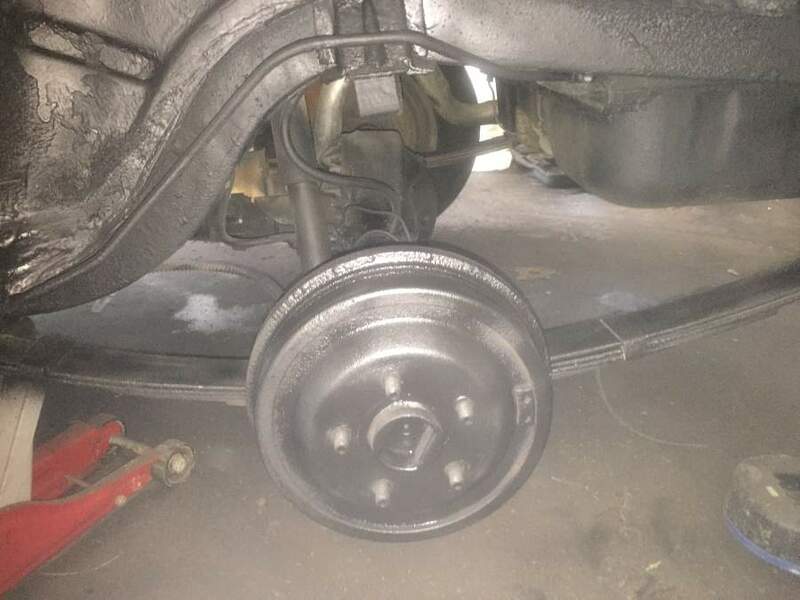 This is an evaluation to make sure the vehicle is structurally sound for repair and to calculate how much damage there is and what parts are needed to get your vehicle back to its original condition. This is an important first step and as we are insurance approved, our paperwork can be used for insurance claims and third-party claims. 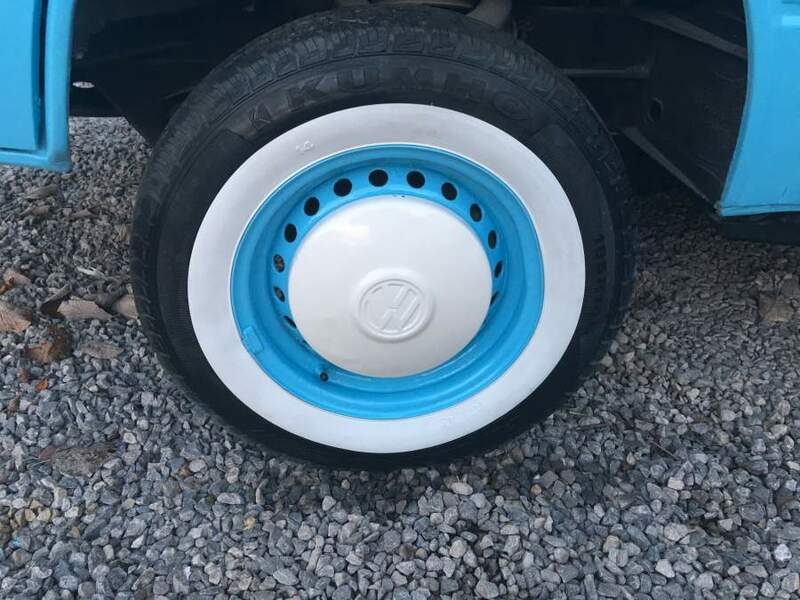 Take a look at these hubcaps we restored for a customer who had a classic VW camper van. We had previously carried out a full respray, supplied and fitted the white walls on the tyres and painted the rims to the matching body colour. We have branches all over the North West area. Each of our branches is equipped to deal with any bodywork repairs your vehicle may need. Regardless of whether your vehicle is a car, van, motorhome, truck, trailer, plant machinery catering trailer or boat, our team is ready to help! We have branches that cover the following areas: Abram, Acton Bridge, Adlington, Ainsdale, Aintree, Altrincham, Alvanley, Anfield, Appley Bridge, Arley, Aughton, Backford, Banks, Barton, Bebington, Bellevale, Belmont, Bickershaw, Bickerstaffe, Billange, Birkdale, Birkenhead, Blackley, Blacon, Blundellsands, Bolton, Boothstown, Bootle, Bowdon, Bromborough, Broomedge, Burscough, Burton, Bury, Cadishead, Capenhurst, Chadderton, Cheadle, Chester, Childer Thornton, Chorley, Chorlton, Comberbach, Congleton, Coppull, Croft, Cronton, Crosby, Croston, Culcheth, Daresbury, Darwen, Deeside, Delamere, Denton, Ditton, Dovecot, Droylsden, Dunham Massey, Dunkinfield, Dutton, Eastham, Eccles, Ellesmere Port, Elton, Everton, Failsworth, Farnworth, Formby, Freshfield, Frodsham, Garston, Glazebury, Golborne, Grappenhall, Greasby, Great Altcar, Great Budworth, Greenmount, Hale, Hale Bank, Hale Barns, Halewood, Halsall, Halton, Hapsford, Haskayne, Hatton, Helsby, Heswall, High Legh, Hightown, Hindley, Holmes Chapel, Hooton, Horwich, Hough Green, Hoylake, Huyton, Hyde, Ince Blundell, Irlam, Kearsley, Keckwick, Kingsley, Kirkby, Knowsley, Knutsford, Leigh, Leyland, Litherland, Little Bollington, Little Lever, Liverpool, Lowton, Lydiate, Lymm, Maghull, Manchester, Mancot, Marple, Mawdesley, Merseyside, Moore, Moreton, Neston, New Brighton, Norley, North West, Northwich, Oldham, Ormskirk, Parbold, Partington, Pemberton, Penketh, Penwortham, Pickmere, Platt Bridge, Plumley, Port Sunlight, Poynton, Prenton, Prescot, Preston, Preston Brook, Prestwich, Puddington, Queensferry, Raby, Radcliffe, Rainford village, Reddish, Risley, Roby, Rock Ferry, Rufford, Runcorn, Sale, Salford, Sandbach, Sandiway, Saughall, Scarth Hill, Sefton, Shevington, Shotton, Skelmersdale, South Manchester, Southport, Speke, St Helens, Stockport, Stockton Heath, Storeton, Stretford, Stretton, Sutton Weaver, Swinton, Tarbock, Tarleton, Tarporley, Tarvin, Thurstaston, Timperley, Tiverton, Tottington, Town Green, Trafford, Tyldesley, Urmston, Walkden, Wallasey, Walton, Walton-Le-Dale, Warburton, Warrington, Weaverham, West Kirby, Westhead, Westhoughton, Whitby, Whitchurch, Whitefield, Widnes, Wigan, Willaston, Wilmslow, Winsford, Wirral, Woodford, Worsley and Wythenshawe. With our fully equipped mobile workshops, we are confident that we can cover any location in the whole of the North West area.